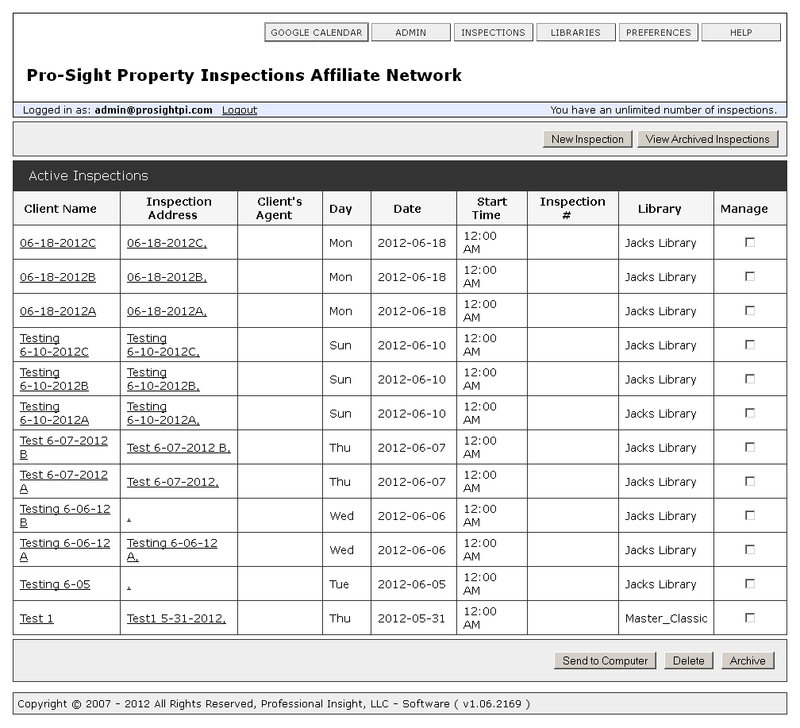 Home Page: This page displays all the inspections of logged in inspector. 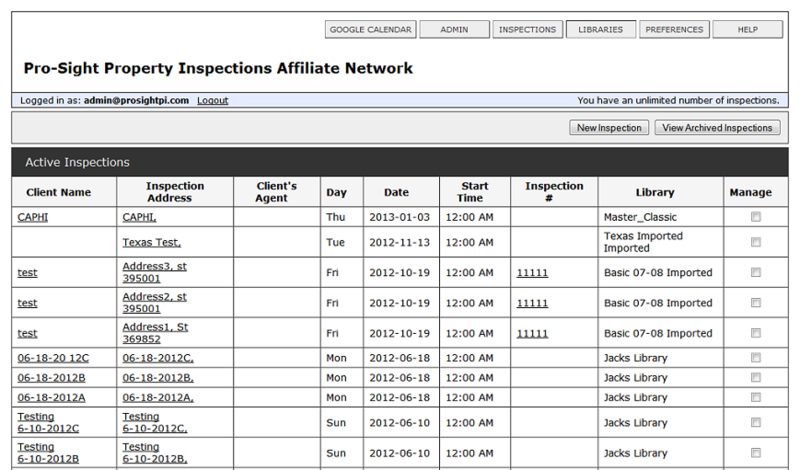 Logged in Inspector can create new inspection, View Archived Inspections and manage their inspections. Item Comment Photo: From this page Inspector add new comment for item and also add, edit, delete comment Photo for selected item. 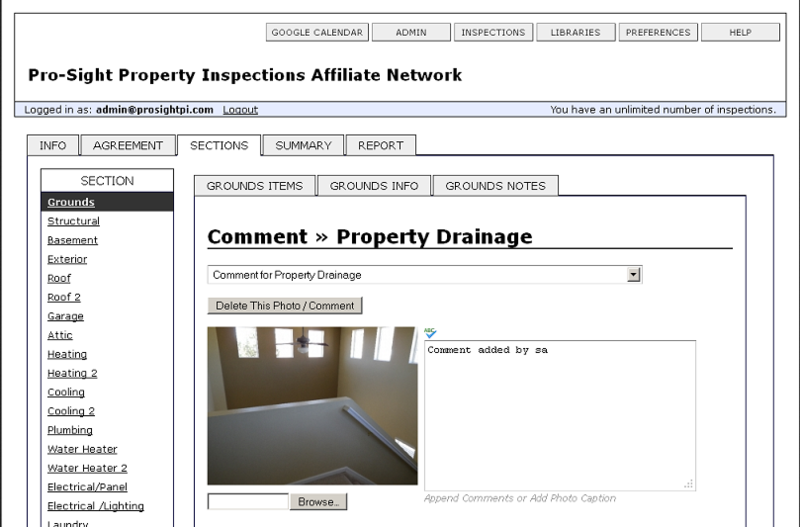 Inspector can upload photo using browse button or directly drag the photo on picture box. 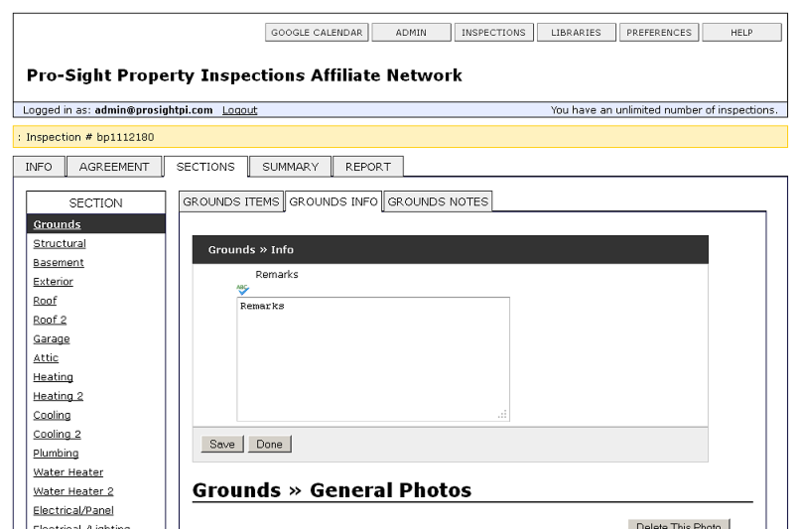 Item Issue Photo From this page Inspector add new issue for item and also add, edit, delete Issue Photo for selected item. Inspector can upload photo using browse button or directly drag the photo on picture box. 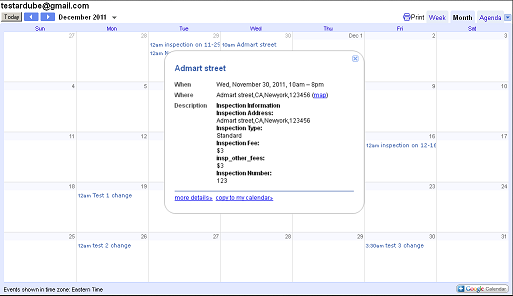 Inspector Google Calendar From this page inspector can see all their scheduled Inspections on Google calendar . 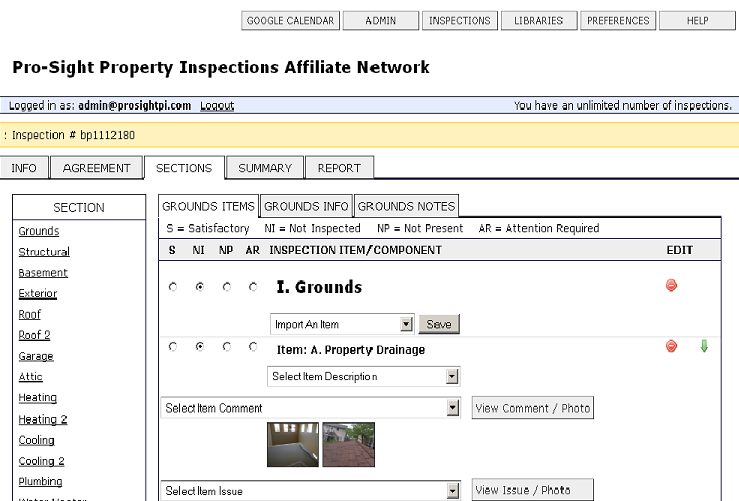 Section Information and General Photo: From this page Inspector add Section Information and Section General Photo. Inspector can upload photo using browse button or directly drag the photo on picture box. 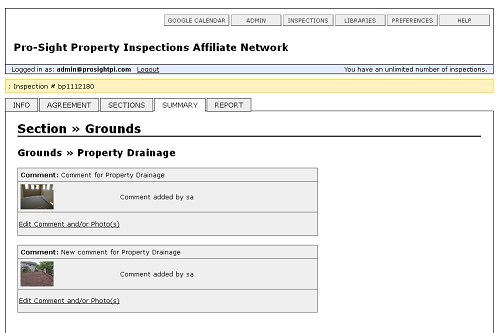 Inspection Report: online Inspection Report generates Html and Pdf Reports which are display all Information regarding selected Inspection. Inspection Summary: Inspection Summary page provided all section's Issue Photos and Comment Photos regarding Information. 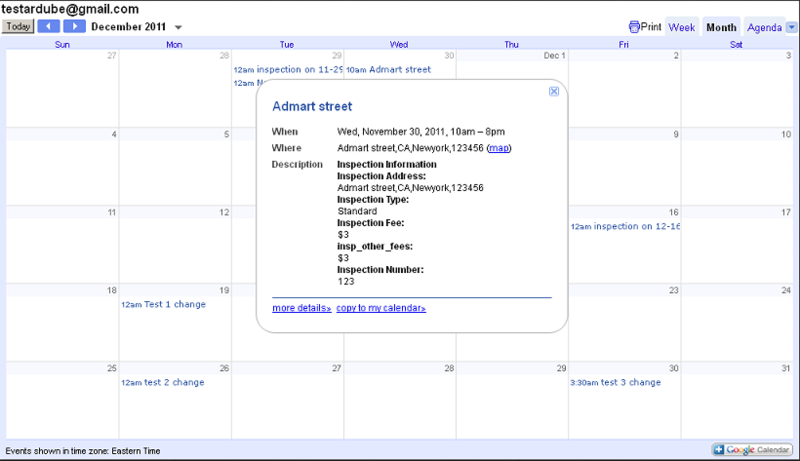 Online Inspection Report Combines "Web-Based" application along with software for PC based computers. 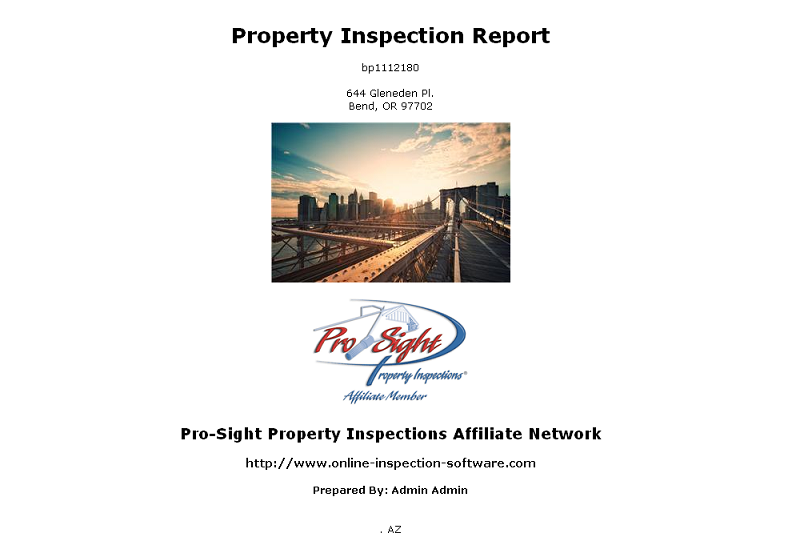 Online Inspection Report is the most technologically advanced, as well as the most customizable home and commercial inspection reporting application available, it's far superior to any other home inspection software. 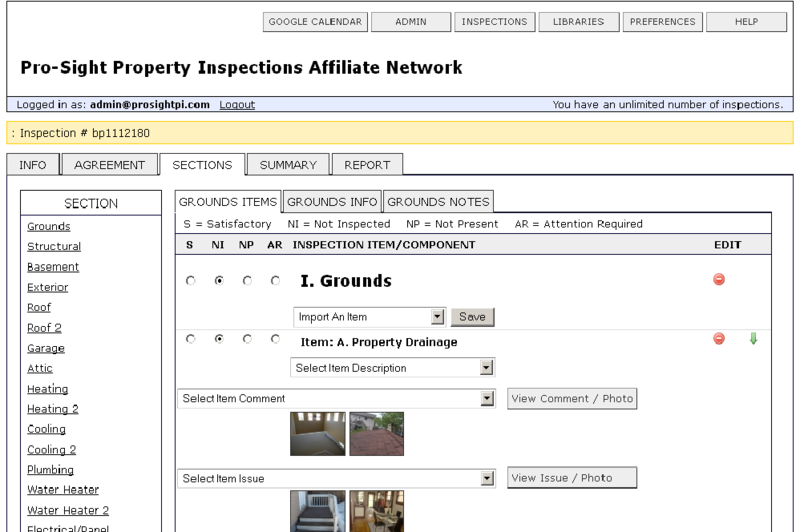 Part of this advancement is the simplicity of its use; create inspection templates which cater specifically to your area, along with your own specific needs and wants. Choose to use the on-line web based application alone, or complement it with the companion computer software. 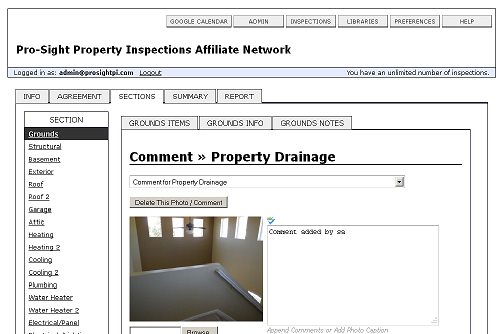 As a home inspector, or a commercial property inspector, you have the option to generate a combination checklist-narrative report, or a narrative only report. 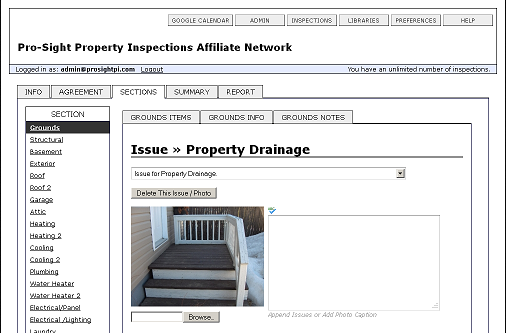 Deliver the inspection report via the web, or e-mail as a HTML or Adobe PDF document. 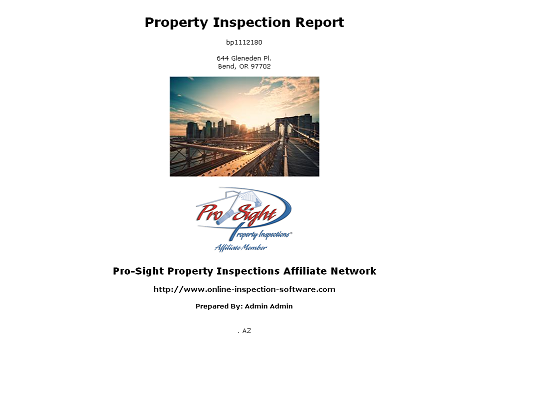 Or use the companion PC software, and you have the option to print the report on-site.This premium inspection reporting service is usable to anyone with Internet access, high speed / broadband access is recommended.